Hannah Montana is the soundtrack for the Disney Channel original series of the same name. It was released on October 24, 2006 by Walt Disney Records. The first eight songs on the album are sung by Miley Cyrus as her character Hannah Montana. There are also four songs by other artists, and another track, the last on the album, that is sung by Cyrus (out of her Hannah Montana character) and her father, Billy Ray Cyrus. The soundtrack was the eighth best selling album of 2006 in the U.S., with nearly two million copies sold that year. The album has sold over 3.6 million copies in the U.S and over 4.5 million worldwide. The album debuted at #1 on the U.S. Billboard 200, where it remained for two weeks. Eight songs from the album have charted on the Billboard Hot 100, including the theme song, "The Best of Both Worlds". Subsequently, a Holiday Edition and a two-disc Special Edition were released. The album has two follow ups, Hannah Montana 2/Meet Miley Cyrus and Hannah Montana 3. In 2006, the fourth edition of DisneyMania was released. On it, Cyrus made a cover of Zip-a-Dee-Doo-Dah, from the 1946 animated movie Song of the South, originally performed by James Baskett. 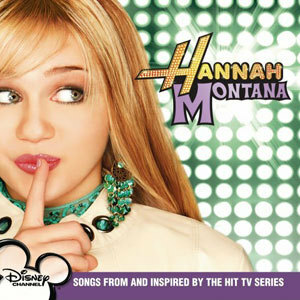 Later, Walt Disney Records released the first Hannah Montana soundtrack, on October 24, 2006. The soundtrack included eight of the songs that Cyrus performed as Hannah Montana and other artists include her father, Billy Ray Cyrus. The album debuted at #1 on the U.S. Billboard 200 selling 281,000 copies in its first week, beating out such artists as John Legend and rock band My Chemical Romance. where it remained for two weeks. It was the eighth best selling album of 2006 in the U.S., with nearly two million copies sold that year. The album was later re-released twice — a Holiday Edition featuring Cyrus' cover of "Rockin' Around the Christmas Tree" and a Special Edition featuring "Nobody's Perfect", the first appeared on 2007 album Disney Channel Holiday. Cyrus also opened for The Cheetah Girls, performing on 20 dates of their 39-city tour.